The Universities of both Mannheim and Tongji are renowned for their high academic quality, cutting-edge research, and teaching excellence. They are two partners with significant experience in executive education. Moreover, both contain excellent corporate and alumni networks and demonstrate a high Sino-German affinity. The TONGJI-MANNHEIM Executive MBA (EMBA) makes the best use of this valuable collaboration to provide participants with the very best in EMBA education. 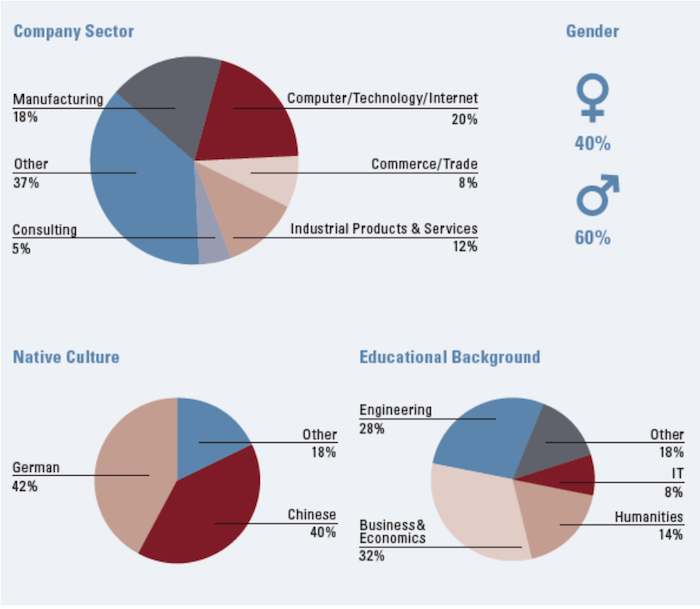 The class profile comprises the core value of the TONGJI-MANNHEIM EMBA Program with a profile showing the diversity of work experience, geographical background and a wide range of previous educational experiences. While bringing a multiplicity of cultures and experiences to the program, our participants share a strong Sino-German affinity. Small class sizes foster active group discussions that reflect the diversity of perspectives. In today’s fast-paced business environment, executives need to be extremely flexible. 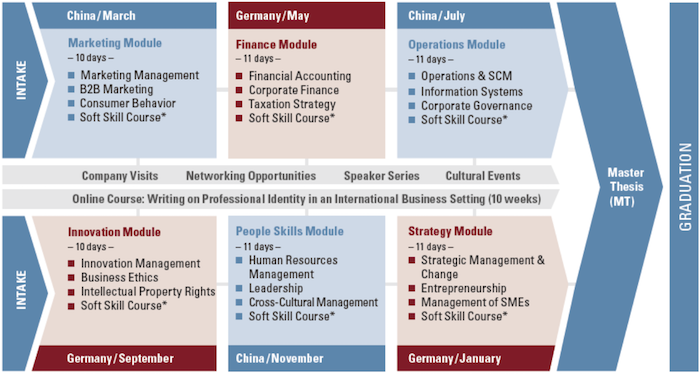 For that reason, the TONGJI- MANNHEIM EMBA Program offers you three different study options. This flexible concept allows participants and companies to adapt the program to their individual career management, while at the same time enabling participants to conveniently combine their studies with work and family life. Option 1: Take the Fast Track to Your EMBA! Participants can complete six self-contained modules plus the Master Thesis in one and a half years and receive their dual degrees. Option 2: An EMBA in a Timeframe of Your Choice! Participants can receive credit for modules and courses, followed by the completion of the Master Thesis in a maximum timeframe of three and a half years to obtain their MBA degree. You can start the EMBA program in March or September each year. Option 3: Choose What Suits You Best! Participants can attend individual modules or courses and receive a certificate. If you change your mind, the certificate can be the first step towards an EMBA. Upon receiving your application, it will be reviewed by the pre-selection teams. Shortlisted candidates will be invited for the interview. A non-refundable application fee of Euro € 150 is payable by all applicants. The Admissions Committee will make a decision regarding admission by reviewing the application in full. The decision will be confirmed by both institutions. Applicants will be informed of the final decision by e-mail. PRC nationals who wish to enroll in an Executive MBA granted by a Chinese Institution must register for a pre-entry exam. The actual entrance exam will be conducted in December. For further details, please visit our website or contact us.